From October 12 to 17, lovers of fine cocktails are in for a treat as the second annual Dublin Cocktail Festival hits venues all around the city. Last year’s festival was judged to be a huge success, and this year the outcome is expected to be no different. A very impressive 32 venues are confirmed to be taking part. Each of the participating venues will have one or more of their “house” cocktails discounted by up to 30% over the course of the festival. The cocktail that is on offer in each venue as part of the Dublin Cocktail Festival must contain an Irish spirit or liqueur as the main component. Availing of this promotional price is quite straightforward – simply buy a €5 wristband in any of the participating venues and show this to get your specially discounted beverage throughout the course of the festival. If the venue also offers food, a suggestion may be made as to the dish that would go best with the festival cocktail on offer. 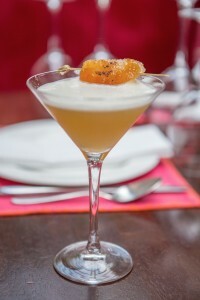 The Dublin Cocktail Festival is being organised by Great Irish Beverages, which was established in the summer of 2014 by Oisín Davis. The central objective of Great Irish Beverages is to highlight the range and caliber of the excellent spirits and liqueurs that are being produced by Irish distillers. They achieve this by organising a series of festivals; the first to be launched was Dublin Cocktail Fest, in October 2014. A total of 24 venues participated in the country’s first cocktail festival. The feedback prompted by this event ushered in the Dublin Whiskey Fest, held in February 2015. This was another first for Great Irish Beverages – the first whiskey festival in the country to collaborate and co-operate with several different brands. In April 2015, it was the turn of Dublin Wine Fest. This was the result of a special partnership with the well known writer Aoife Carrigy, and it was hosted in more than 30 venues. Up to this point, each festival organised by Great Irish Beverages had been more popular than the last. Following a pattern, June’s Dublin Gin & Tonic Fest, with a single-minded focus on Irish gin, has been the most successful of all – thus far. On September 3 2015, Great Irish Beverages had yet another first – the Irish Cider & Food Day – again, a partnership with Aoife Carrigy. If you have a favourite creation, and you think it is worthy of being named the cocktail of the festival, you can vote for it by posting on the Dublin Cocktail Festival’s Facebook page (https://www.facebook.com/GreatIrishBeverages) or by using the #BestIrishCocktail hashtag on Twitter. Voting will open on the first day of the festival and close on the 18th. A handmade plaque will be presented to the winner, and they will have the distinction of being known as creator of the best Irish cocktail in Dublin. In 2014, Diep Le Shaker’s ‘Golden Brown’ won the award. For the full list of participating venues, head to https://www.jar.ie/article/dublin-cocktail-festival-2015 and decide where you will choose to go.